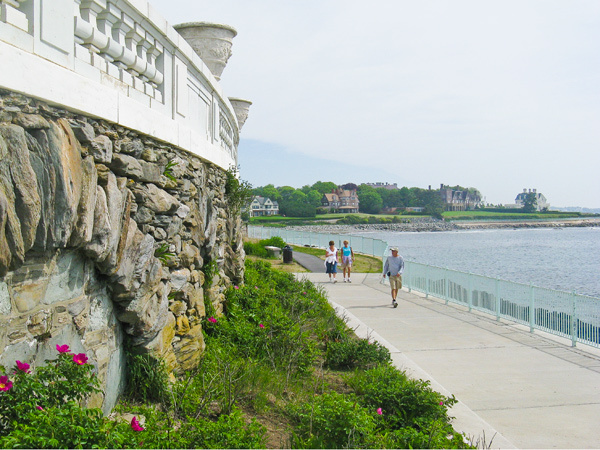 This 3.5-mile-long path hugs Newport’s eastern shoreline, from Easton’s Beach at the north to Bailey’s Beach at the southwest, affording scenic views of the Atlantic Ocean and passing several Gilded Age mansions along the way. 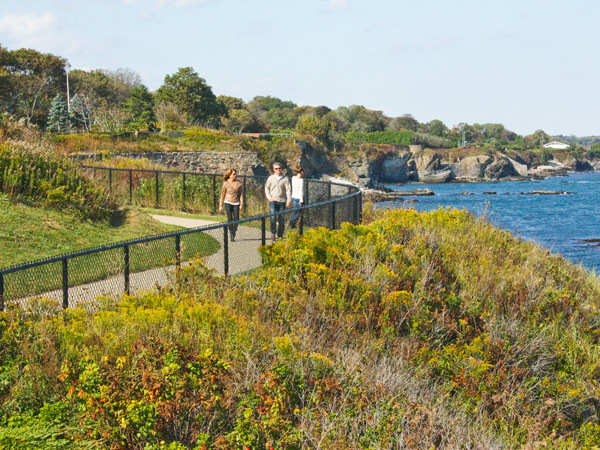 Perhaps created by deer, the cliff-side trail was later used by the Narragansett Indians, followed by the colonists. 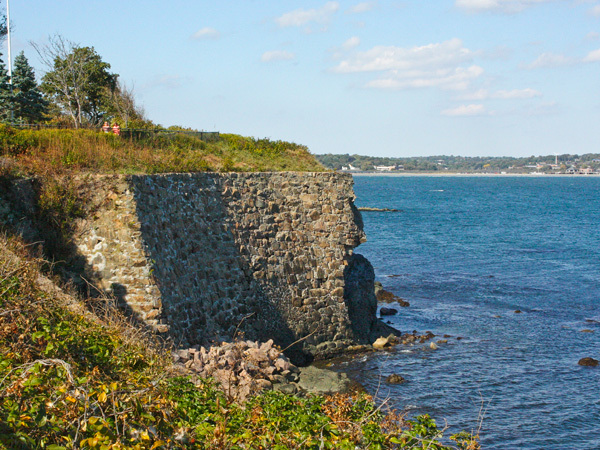 Vested in fisherman’s rights granted by King Charles II to colonists in the Rhode Island Royal Charter of 1663—rights further validated in 1843 by the Constitution of Rhode Island—it now constitutes a public right-of-way over private property. 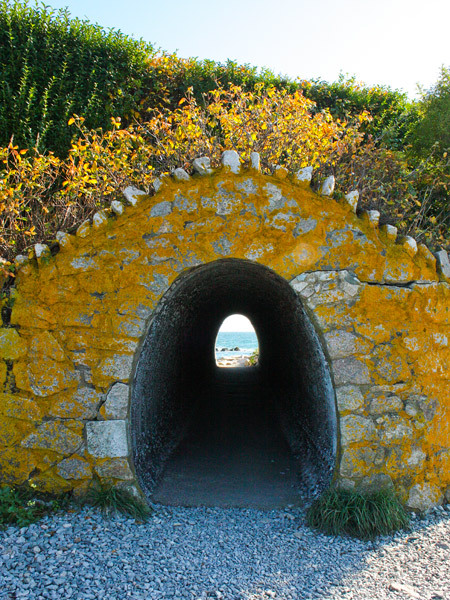 In the 1880s owners of some of the properties adjacent to the trail began to create piecemeal a more unified and amenable pathway, constructing bridges, tunnels, and the like; others planted hedges, erected fences, and introduced various obstructions in a bid for privacy. 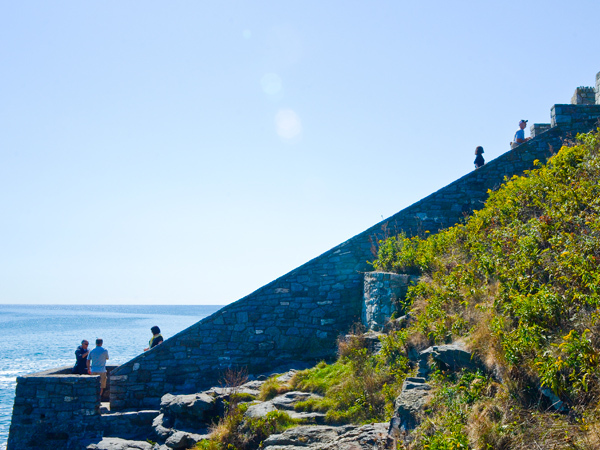 The northern section of the trail is paved while the southern portion traverses naturally rugged shoreline, skirting 70-foot-high precipices. 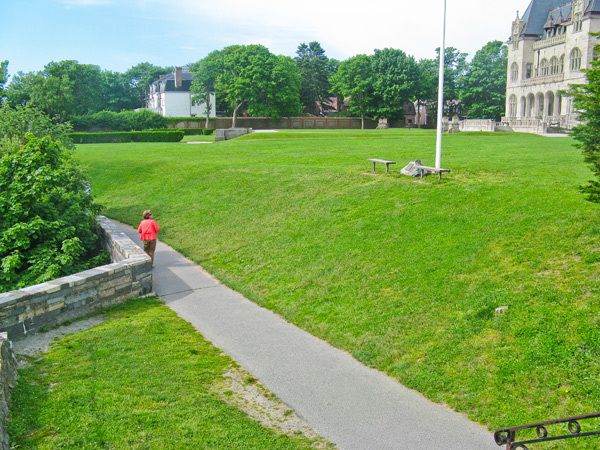 Formal gardens, wildflowers, and local landmarks such as the Forty Steps can also be glimpsed, as well as geologically significant rock formations containing the fossilized remains of plants. 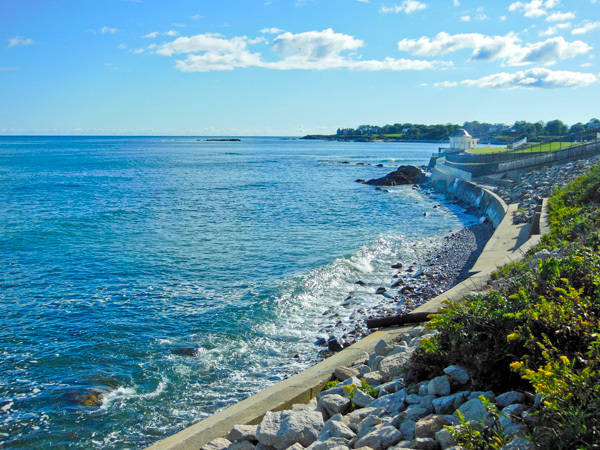 At several points one can re-enter Newport’s street grid, and a rocky, natural beach, Belmont, is accessed at Marine Avenue. 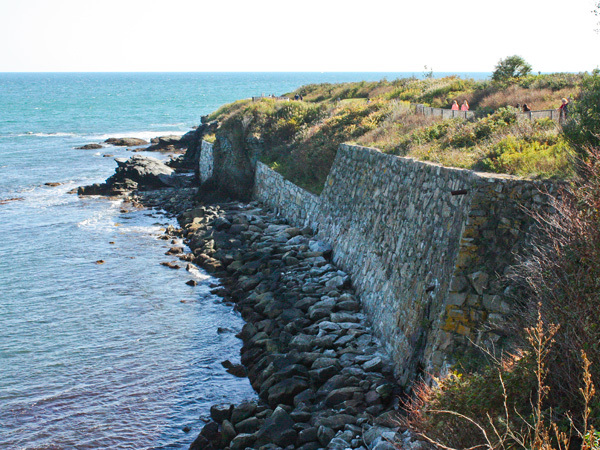 Major repairs were necessitated by hurricanes in 1938, 1954, and again in 2012 and retaining walls were built in the 1990s. 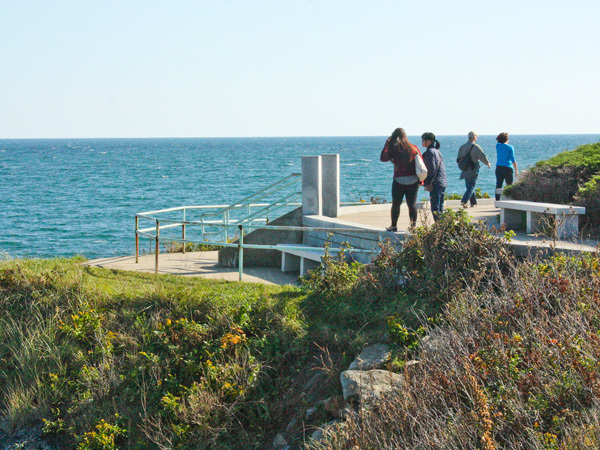 Designated a National Recreation Trail—the first in New England—the Walk is located within the Ochre Point – Cliffs Historic District listed in the National Register of Historic Places in 1975.